Sky Italia has reported second quarter operating income of $6 million, an improvement of $18 million versus the $12 million operating loss reported a year ago. Revenues increased slightly on advertising and subscription revenues. The operating profit improvement was also driven by lower operating expenses and programming costs. 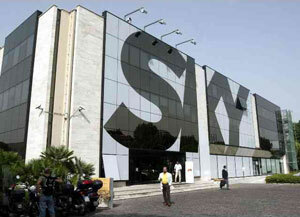 Sky Italia’s 5.03 million subscriber had 23,000 net additions during the quarter. News Corp CFO Dave DeVoe characterised Sky Italia’s performance as “very good results given the significant slowdown of the Italian economy”. News Corp COO Chase Carey added: “We successfully tackled the competitive challenge from our major industry competitor as well as a challenging regulatory environment to regenerate growth and excitement in our business.” He cited the contribution of new sports content, HD and PVRs. Carey also said Sky Italia’s business is “pretty resistant to the economic headwinds but it is not immune. We expect short-term growth to be impacted by Italy’s macro situation but we are extremely bullish on the long-term potential”.